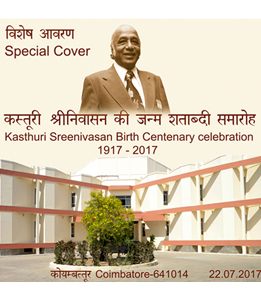 This is the story of Kasthuri Sreenivasan-textile technologist, founder director of South India Textile Research Association, a novelist, poet, playwright, founder of the Kasthurl Sreenivasan Culture Centre and the Coimbatore Cancer Foundation. In these pages, his world unfolds from a small hamlet near Coimbatore and travels around the world. This is a journey of choices and their powerful outcomes. 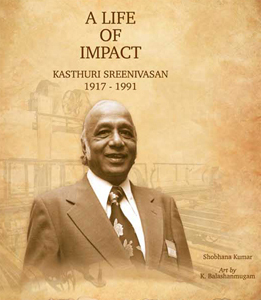 During his lifetime, Sreenivasan touched hundreds of lives and altered his immediate world for the better. 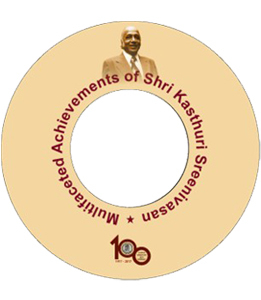 This book is published by the Kasthuri Sreenivasan Trust that strives to perpetuate his legacy and is a tribute to the many facets of the legend. A life of Impact Book + DVD + Postal Covers - Rs.1250/- inclusive of postage.